The Action is the second phase of the pre-identified, cross-border Rail Baltic/Rail Baltica project connecting the three Baltic States with Central Europe along the North Sea–Baltic Corridor. 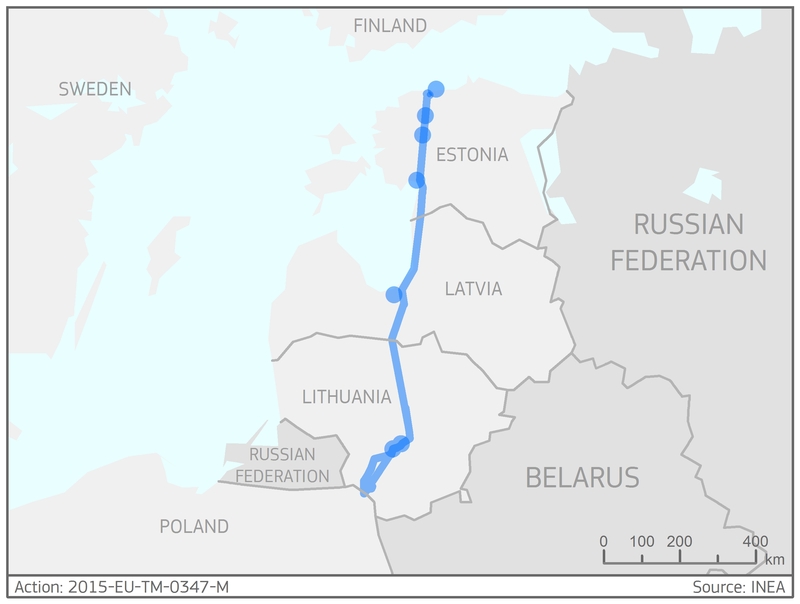 The aim of the Rail Baltic/Rail Baltica (Tallinn-Riga-Kaunas-Warsaw axis) Global Project seeks to develop a new, EU gauge double-track electrified railway line to eliminate the technical bottleneck due to the gauge differences (1,520 mm vs. EU 1,435 mm). The aim of this Action is to further implement all the necessary preparatory activities, to continue with the construction works and to prepare for the main construction phases of the railway line.